Tensions between Ukraine and Russia have escalated further as Russian special forces attacked and seized two Ukrainian gun boats and a tug off the coast of Crimea. 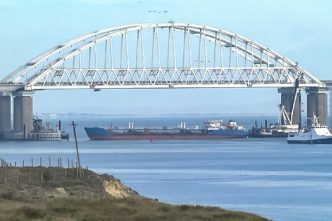 A few days earlier, a Russian tanker blockaded the Kerch Strait, an important access route for Ukrainian ships. Footage posted by an unverified account also shows a Russian coast guard vessel ramming a Ukrainian gunboat. Moscow has used increasingly provocative tactics to cement its control over the Crimean peninsula after it annexed it in 2014. The US Navy is building a new submarine-launched hypersonic weapon to plug the conventional ‘prompt global strike’ capability gap with Russia. Vice Admiral Johnny Wolfe said that the weapon could be launched from any platform with the help of a booster, could be used against any target in the world and would effectively counter advanced Russian underwater capabilities. The US Navy successfully conducted its first test of a submarine-launched hypersonic missile last year. Ten years after Lashkar-e-Taiba militants stormed into Mumbai by sea and launched a terrorist attack which killed 166 people, the Indian navy’s chief admiral Sunil Lanba told the Press Trust of India that ‘there had been a paradigm shift in coastal security’, including the establishment of an efficient multi-layered surveillance network. However, experts point out that systemic flaws in the Indian policing apparatus present a stark challenge to India’s coastal defence. Canada’s auditor-general has found multiple problems facing the Royal Canadian Air Force’s fighter jets. Its CF-18 jets are set to be replaced in 2032 despite the fact that some of them have already been flying for almost 40 years. Canada will acquire second-hand F/A-18s from Australia to bridge the gap. The RCAF is struggling to retain pilots and only has 64% of the pilots it needs. It also has a shortage in technical positions. The report said that because of these problems, a new policy requiring a fleet capable of meeting commitments to NATO and to the North American Aerospace Defense Command simultaneously was unfeasible. 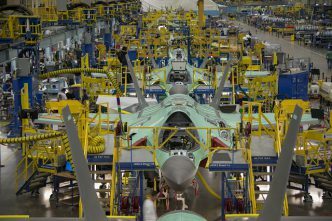 The Australian joint strike fighter program has reached another milestone with the delivery of two of 15 ‘deployable cabins’. The cabins are transportable workspaces for F-35 support personnel and house a secure connection to the jets’ autonomic logistics information system. 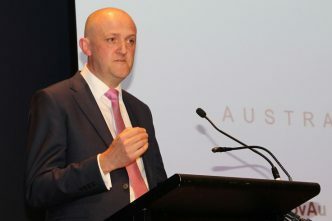 The cabins were made using Australian engineering and materials, and the government is promoting them as an example of the business opportunities provided by the growing defence industry. A UK man has been jailed for smuggling military hardware to Iran. Alexander George bought supplies— including parts—for American F-4 and Russian MiG jets from the US and trafficked them through his companies in Dubai and Malaysia between 2010 and 2016. International sanctions placed on Iran over its nuclear program mean that the country cannot easily buy new parts for its ageing fleet of aircraft. The chief of the British Army says Russia presents a far greater threat to national security than Islamic terrorism. General Mark Carleton-Smith says Russia uses non-traditional domains such as cyber and space when it detects a weakness in the West. Russian operatives have been blamed for a raft of cyberattacks on UK infrastructure as well as the poisoning of former spy Sergei Skripal and his daughter. 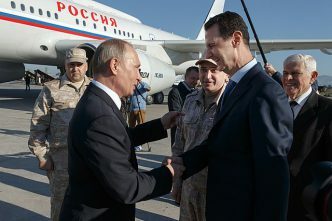 US and Russian forces have been involved in a dozen clashes in Syria, according to US special representative to the country James Jeffrey. He told Russian media that not all of the incidents involved an exchange of fire and that American soldiers only sought to exercise self-defence. In February, US troops reportedly killed more than 200 pro-Syrian-regime forces and Russian mercenaries when they tried to take over a US outpost near the city of Deir al-Zour. No American soldiers were injured or killed in the battle. Soldiers in the US Army will soon be wearing new uniforms. 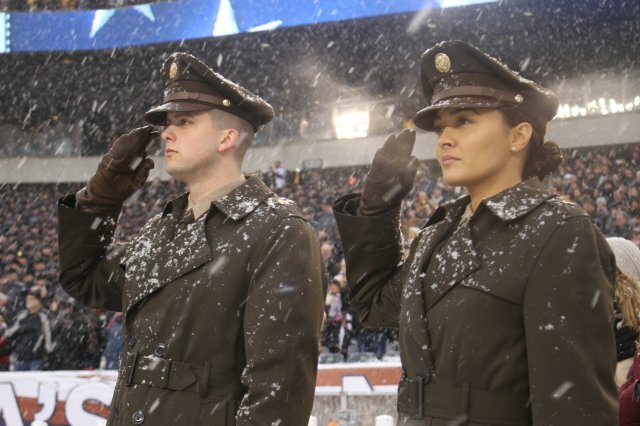 The current ‘army blues’ will revert to the status of formal dress uniform and will be replaced for ‘business wear’ by a uniform reminiscent of the World War II–era ‘pinks and greens’. The army says the new uniforms are cost-effective and expected to last six years—longer than the current outfits. The first of the new uniforms will be worn in 2020, with the new threads to be rolled out across the entire army by 2028. The Sighter190 rocket launch last Wednesday marked a significant milestone for Queensland’s emerging space industry and will aid the development of hypersonic flight. The rocket was designed by Black Sky Aerospace and was Australia’s first to carry a commercial payload, which included sensors from Hypersonix, an aerospace start-up founded on the University of Queensland’s scramjet research. The data collected from the launch will be used to inform the development of Hypersonix’s scramjet satellite deployment system. The system will use reusable technology and is expected to reduce the cost of putting satellites into low earth orbit. A report in BMC Microbiology has concluded that the International Space Station is ‘infested with spacebugs’. The study, based on samples collected from the station’s exercise platform and toilet in March 2015, found that the bacteria Enterobacter bugandensis has an increased chance of causing disease. While scientists have said there’s no immediate danger to astronauts, unrelated studies have found that microgravity has a marked impact on bacterium aggression and antibiotic resistance. Following the fourth meeting of the Nigeria – South Africa Defence Committee, the countries released a joint communiqué committing to strengthen collaboration on space technology and military research. The two nations have been engaged in a longstanding ‘supremacy battle’ to lead Africa’s space industry, competing in investment and space initiatives. Their governments say an enhanced relationship in the space industry is in the interests of both states and the African continent. A university in China’s south has faced a major backlash over its plan to conduct searches of staff and student electronic devices. The leaked notice caused outrage on Chinese social media platforms as people worried that the surveillance tactics deployed in Xinjiang were spreading to other parts of China. Even state-run newspapers criticised the plan, adding that it could violate the constitutional right to free communication. The university is now reconsidering its position. Educational institutions in Xinjiang have been conducting similar searches since 2014, when the region’s highest court passed an order banning extremist content. A new French law empowers judges to order the removal of fake news content from the internet during election campaigns, despite arguments that it could be used to clamp down on free speech. The new legislation will come into effect by May 2019, ahead of the European parliament elections. President Emmanuel Macron had promised to ban fake news earlier this year amid widespread concerns about Russian meddling in elections in the US and Europe. Defence Minister Christopher Pyne has opened a Joint Cyber Security Centre in Adelaide, the fifth such centre in a network being rolled out across the country (the others are in Brisbane, Melbourne, Perth and Sydney). The centres are part of the Australian Signals Directorate and have a central role in protecting Australia’s critical infrastructure. Through partnerships with state and local governments, the centres aim to protect Australian businesses from cybercrime. Aakriti Bachhawat, Rebecca Moore, Aru Kok and Georgia Grice are research interns at ASPI. Image courtesy of the US Army. 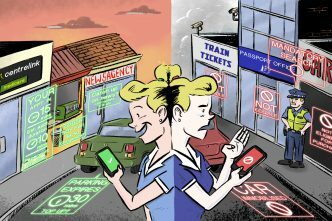 What’s the big deal about digital identity?